Most people look forward to the holidays for food, gifts, music and family time. The team here at SMSW love all those things too (especially roast potatoes). But December is also eagerly awaited for another reason round here: brand activity. Mid November onwards is Christmas campaign season. It’s when businesses put big bucks behind cool and creative festive initiatives. Not all entries in this month’s campaign roundup have a holiday theme, but there was one we just had to tell you about. As Christmas 2018 approached, Mulberry launched #MulberryLights to celebrate how light, colour, shapes and people come together to create modern British Christmas experiences. 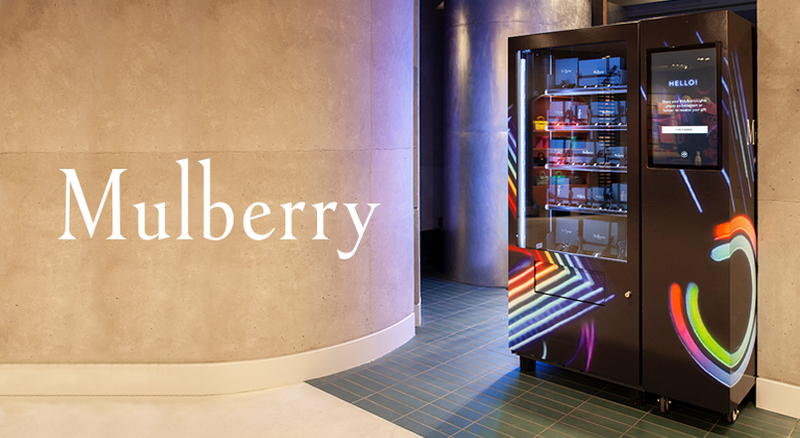 A whole variety of elements were launched – both offline and online – to help #MulberryLights take off, with one in particular getting our attention. 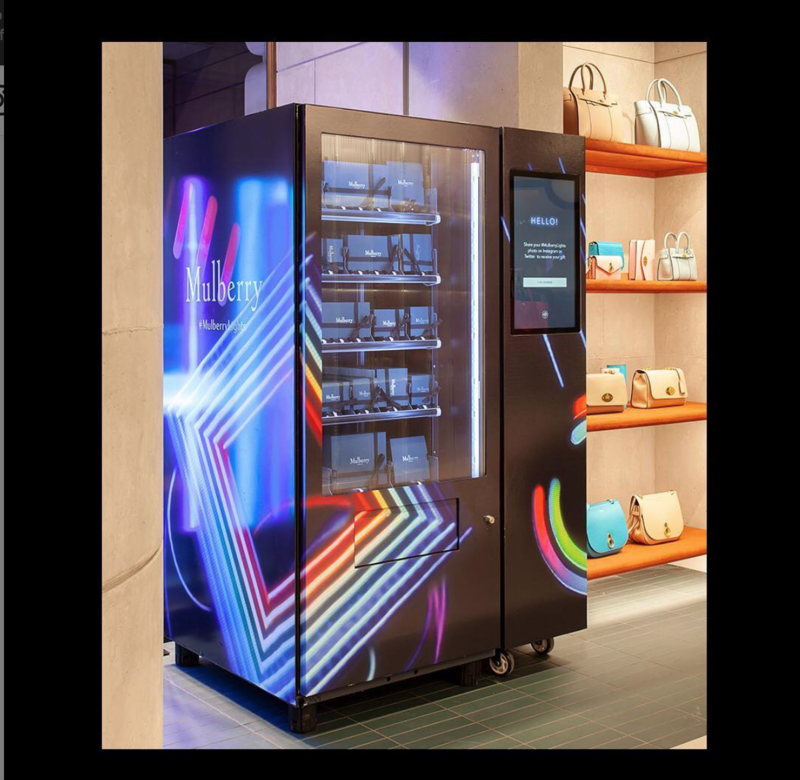 An interactive vending machine popped up in various Mulberry stores throughout December, starting with the flagship store, 100 Regent Street. To release a gift, all you had to do was share a photo of the brand’s store illuminations on Instagram or Twitter. Once the machine verified your participation (would love to look into the tech behind this), a cute gift-wrapped package dropped into the collection compartment and was all yours. Gifts ranged from chocolates and stickers to £1000 gift vouchers. The secret to this campaign’s success comes down to three things. Firstly, the brand has found a way to use social media posts as currency. This not only drove digital conversations but was also a nice way to reward customers at a gifting focused time of year. Secondly, when I said “store illuminations” above, I wasn’t talking about a few strings of fairy lights and a scattering of glitter. Oh no. Mulberry went all out for their holiday light show with an impressive pop-up installation designed specifically to be irresistible to Instagrammers. I can’t talk in too much depth about 1986 because, well, I wasn’t born yet. What I can tell you though is that it was a big year for Puma thanks to the release of its iconic RS-computer sneaker. While not exactly easy on the eye, this shoe was smart. That chunky heel housed a computer chip capable of recording distance, time and calories. 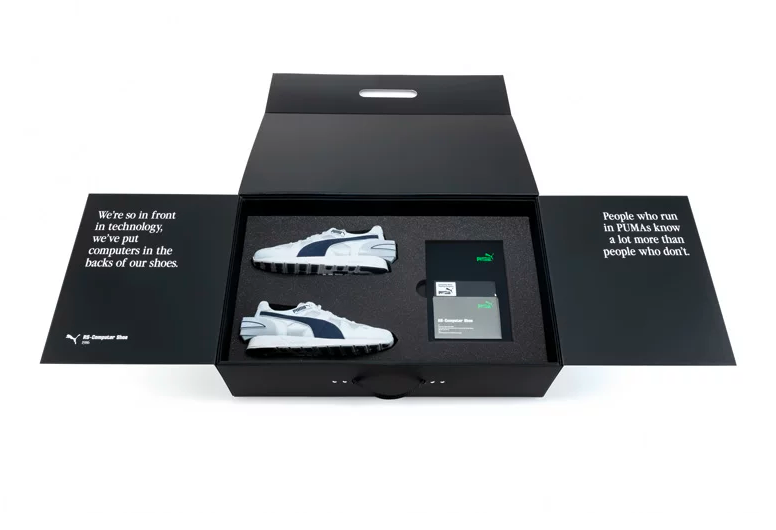 Wearers could plug the “world’s first computerized running shoe” into a PC loaded with “special software” to track their performance and progress. Essentially, the sneaker was a very early example of the fitness-tracking wearables and apps most of us use today. But rather than simply patting themselves on the back for being a good two decades ahead of the game, the Puma team has taken action. It’s reinvesting in and re-releasing the RS-computer sneakers, with a few tech tweaks to make it the perfect fit for 2019. The retro style can now be connected to a computer via USB, and to an app via Bluetooth. Everything else remains exactly as it was back in ’86. Even the original 8-bit graphics. To honour the original launch date and add major exclusivity, Puma is only releasing runs of 86 pairs. Overall, I think this is a stroke of genius from Puma. The company has spotted the modern-day relevance of an old style, and has made a few essential upgrades to ensure it has a place in the current market. Those who knew the original sneaker will no doubt give into the new version’s nostalgic appeal. Those who didn’t will simply enjoy its retro vibe. Bagging a cut-price shoe always feels great, right? But how would you feel if the opposite happened: if you paid $600 for a pair only worth $20? If we want to know for sure, we can always ask the social influencers who recently attended the launch of “Palessi”, a new luxury boutique in LA. Because paying WAY over the odds for shoes is exactly happened to them. But don’t worry, there’s more to this story than meets the eye. Paylessi isn’t actually a new and exclusive label at all. It’s actually budget brand Payless in disguise. The company set up a fake store launch featuring styles from the regular stores to prove just how much cash fashionistas are willing to part with if there’s a social status boost involved. Payless went to extreme lengths to ensure the stunt was convincing. Retail space was secured and kitted out to resemble a high-end store. The company even created a Palessi website to avoid getting rumbled. The outcome couldn’t have been better. Influencers attending the “launch” were more than happy to drop serious dollars for shoes that everyone else could buy cheaper than your average takeaway dinner. Once the prank was revealed, all money was refunded. Although the campaign took a cheeky swipe at influencer culture, the real purpose was to challenge preconceptions of low-cost brands. And I think this was achieved really well. The social media celebs were more than happy to wear and promote shoes they wouldn’t have looked twice at if they had known which brand they belonged to. This of course delivers a loud-and-clear message to consumers that Payless styles are more than the associations of their price tag or brand label. If anything, the stunt makes a mockery of paying hundreds for shoes you can get for a fraction of the cost. Oh, and if you love a spot of customer trickery, this campaign from Diesel last year is a must watch.